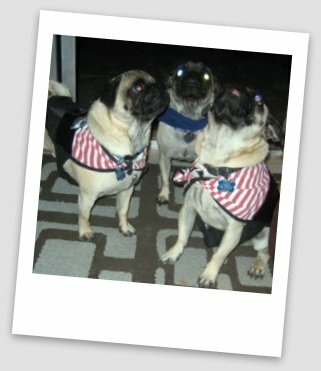 Yo ho, yo ho, a pugrate’s life for me. We snort n slobber, we hollar and hoot. Snort up me puggies, yo ho. We bark and we cry and cost you lots ‘o loot. We're filthy and rotten, we scratch up your legs. We're fawn colored demons, we're really bad eggs. We fight one another, we’ll jump on yer sack. We pee on the couches and don’t give a damn. And "Pugrates" shall begat "Pugrats: The Movie". Water-park Suicide Slide & more!